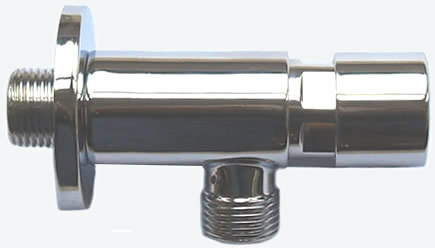 Temporised auto shut off water isolating valve. The water supply to the shower is permanently off until the head is pressed, this then provides a 25 second charge of water to the shower after which the water supply automatically shuts off again. Absolute safety and peace of mind against accidental leakage in enviroments where a manual shut off valve may not always be turned off by the user after use, such as hotels and public locations and also homes with forgetfull family members. 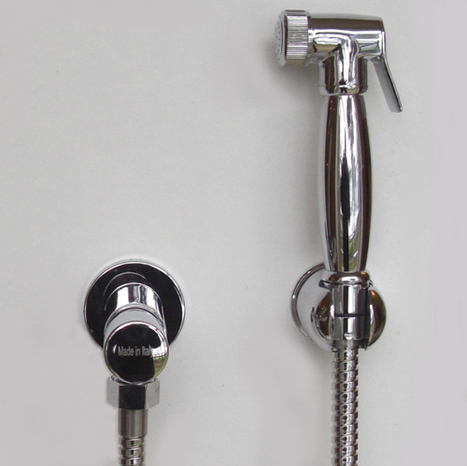 The valve operates with a gentle push of the head providing a 25 second charge of water to the shower. For use with our cold or warm water bidet showers. Manufactured in Italy from premium grade solid brass finished with 10 microns of mirror chrome.